Frankie is Frankenstein's daughter, she is friendly , sweet, and kind with a goofy streak . She is the most naive of all the girls, she is so young, so tries to learn everything about the world through magazines for teens monster, but it's usually difficult for her to understand everything. 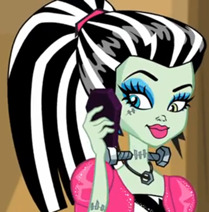 Frankie is optimistic , hopeful and is determined to find his place in Monster High. Enjoy the images we present below. 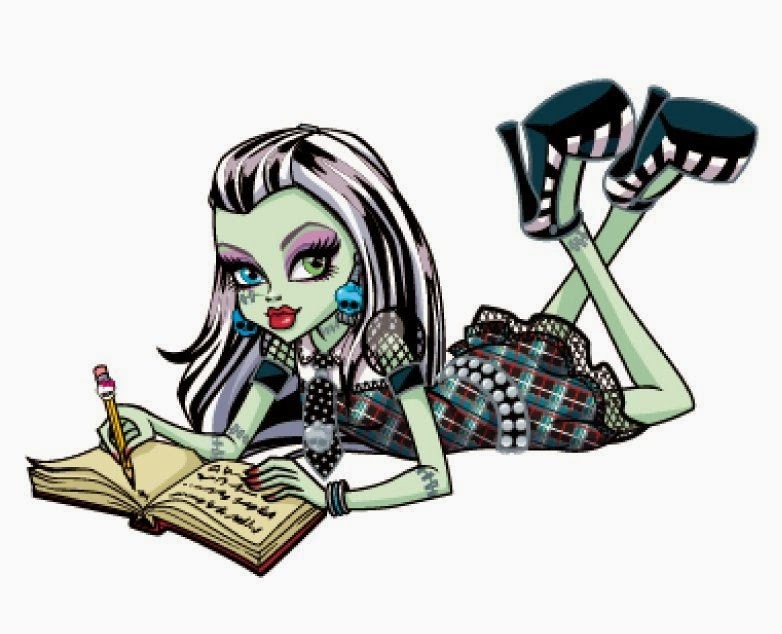 Monster High Frankie Stein writing on a notebook. Monster High Frankie Stein's face. 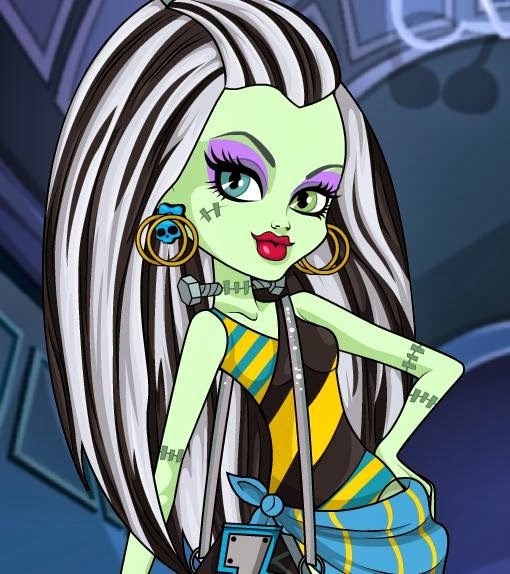 Monster High Frankie Stein with a background with hearts. Monster High Frankie Stein with a purse and high heels. Monster High Frankie Stein with a strange face. Monster High Frankie Stein with yellow glasses. Monster High Frankie Stein with a pony tale. 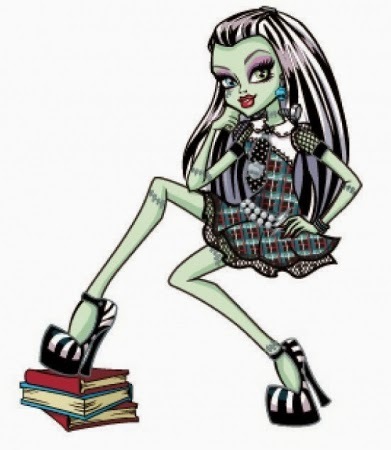 Monster High Frankie Stein sitting with a leg on some books. 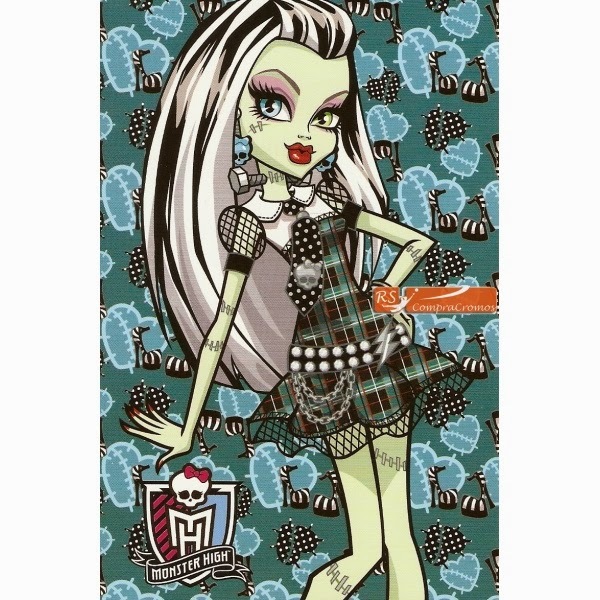 Monster High Frankie Stein with some bats on the background. Monster High Frankie Stein with a mini skirt. 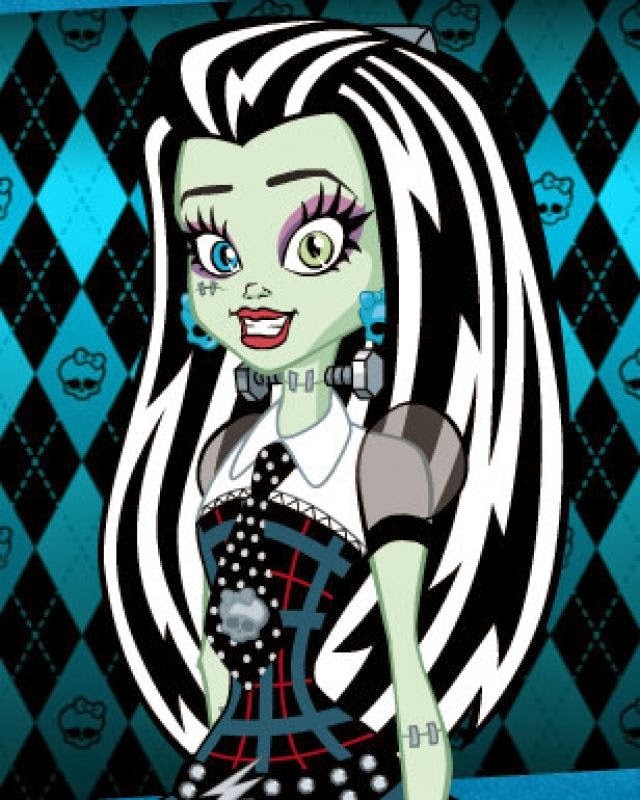 I hope you have enjoyed these images of Monster High Frankie Stein.